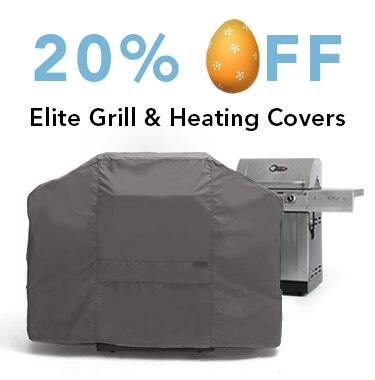 We know how much you love your smoker BBQ and that's why we've put so much research into our smoker BBQ covers - to offer you a terrific selection of round smoker covers and square smoker covers in our Covermates Elite collection! Don't let the sleek and stylish exterior of them fool you - they're durable enough to keep your smoker protected all year long. We strategically position mesh air vents along the vertical surfaces to allow for air circulation, preventing rust, mold and mildew. 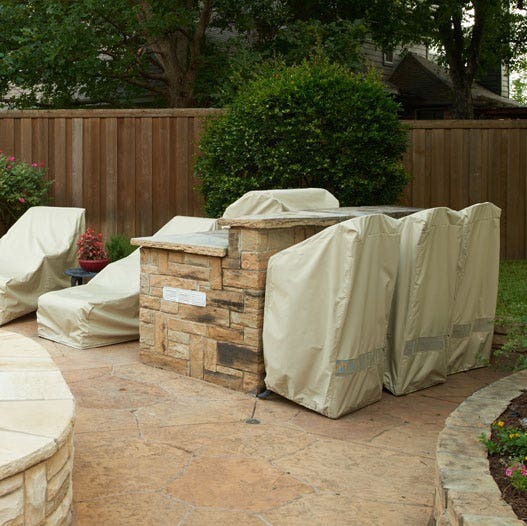 This feature also minimizes ballooning and keeps the cover from blowing off of your smoker. 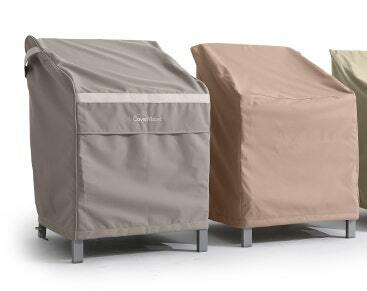 Our smoker barbeque covers have an elastic band at the bottom and drawcord with a locking system for a custom-fit. 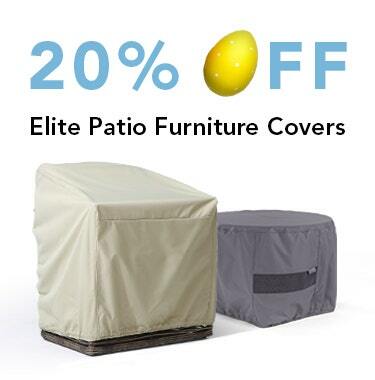 Elite is our best selling line of outdoor smoker barbecue covers and comes with a 3-year warranty. Great item! Just what we needed. Company fulfilled order quickly. 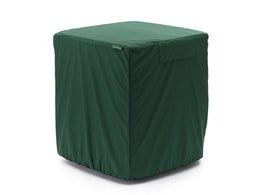 Thanks to the helpful website, I was able to find a cover for our bbq, which had been challenge. Its shape and size didn't configure to the covers found in most stores, and sadly the bbq is no longer being manufactured so we could not go to the source. Thanks Cover Store, now we no longer have an ill fitting cover to trip over or try to tuck away! perfect fit for my dyna glo charcoal vertical smoker (not the offset version). good craftsmanship. Bought this for my backwoods chubby and it fits perfectly. Very good quality. Perfect length if you have the casters mounted on it but the extra length won't be a problem if you don't as it fits nice and snug with the drawstring tensioner at the bottom. Looks good, appears to be very high quality. very nice cover, all i was wanting. a waterproof option would be nice though. VERY NICE PRODUCT, GREAT FEEL TO MATERIAL. I ORDERED TOO BIG OF A SIZE BUT WILL WORK IN MY FAVOR WHEN I PUT EXTENSION LEGS ON MY SMOKER. ONLY HAVE HAD COVER FOR A FEW DAYS & WILL SEE HOW IT HANDLES THE COLD WEATHER OVER THE NEXT FEW MONTHS. Perfect, love the quality. 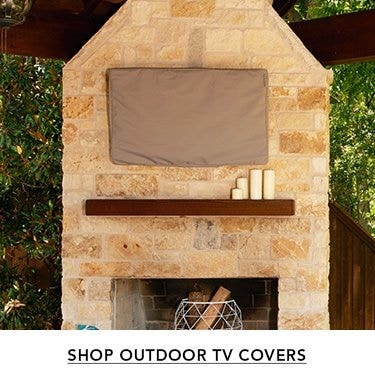 Bought it to cover our deck fire column. Hopefully it stands up to our Alberta weather changes. 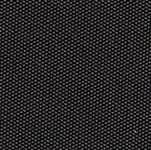 This cover was exactly what I was looking for - heavy duty woven fabric, well constructed, and sized as advertised. I bought a black mid-grade (Elite) smoker cover, knowing it was a little too long for my tall fire pit, but it works fine. 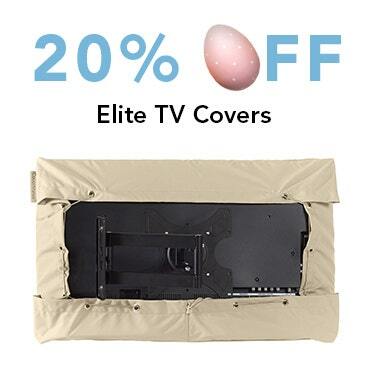 The heat and humidity in South Carolina, along with hard freezes in winter, ages cheaper PVC film covers in 1 year to the point of failure (splits in the cover that let water in.) I expect this well-made cover will last 3-4 years. If it holds up like I think it will, will definitely buy from them again for other outdoor items. The cover was as described on the website. The quality appear to be good.It was shipped right away and tracking information was provided. It was a pleasure doing business with the COVER store and I will be doing more with them in the future, I need a grill cover as well. Quality very good. How it holds up through our weather seasons remains to be seen, but not concerned. 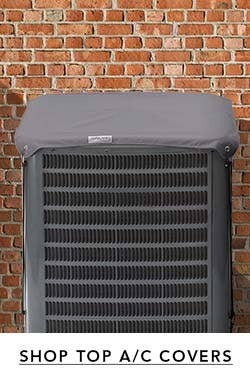 Actually purchased to cover a square patio heater. Service is always good and delivery as scheduled. Fit my smoker like a glove. I have 9 of your covers now , I need one more, a chaselounge cover. I love them all. They cost more than most covers but they are worth it. 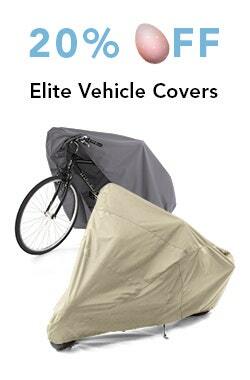 I definitely would recommend these covers . Very good quality! 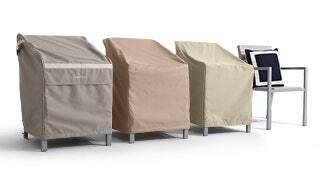 We bought several different covers to protect our home patio furniture & smoker. 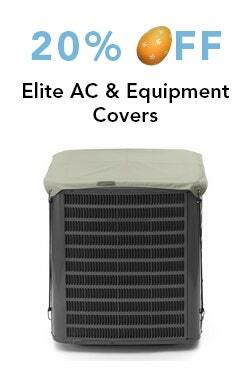 We're happy with all of them and will be buying more for our air conditioner and cabin deck chairs. The cover arrived in a timely manner and it fits perfectly. Thanks a million. Bought for a Masterbuilt Pro Dual-Fuel smoker, which it fits quite well. The cover isn't quite long enough to reach the ground, but covers all but the legs of the smoker. 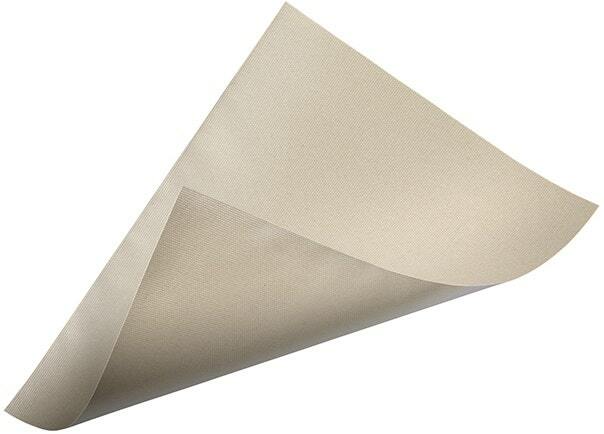 The material of the cover seems quite durable, and the cover is well-made. I would have preferred to NOT have the mesh vent area for my application, but it won't hurt anything. Great smoker cover and it fit well on our unit. Exactly as expected and fit just fine. Will wait to see about life expectancy. Cover fits well, we have had several rain storms the past few days and my smoker has stayed dry. Good service. Perfect fit, Nice green cover. Should last quite a long time. Would definitely buy again! 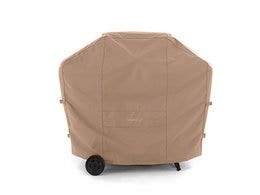 I bought this for my son's new smoker -- I have had one now for over a year and it is a great product -- no problems from blowing wind lifting it off of the smoker and also very water proof ---- allows me to keep my smoker on the back porch ready for use when I need it --- would recommend it to anyone -- a GREAT PRODUCT !!!!! Well made and it fits great. Got it took it out put it on all is well !! It is a perfect fit for my Cabela's pro smokehouse! Arrived on time. Fits perfectly Would highly recommend the cover store to anyone looking for a cover. I will be ordering a new grill cover soon. We have an older generator that needed a cover. We couldn't find one anywhere. 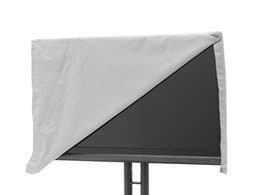 However, because of the great search capability on this site, we were able to type in the size of the cover we needed and order it. The cover fits perfectly!  We appreciate the quick response to our order and the quality of the product exceeds our expectations. Thanks! Looks good. Fits as it should. Didn't give it a 5 because have only had it a couple of weeks and don't know how it will hold up. It seems like it should do great, though. Couldn't be happier about purchasing this cover for my smoker. Great quality material and shipped promptly. Thank you! I recieved the cover I ordered and it came and was as described.dementions were correct and fit my smoker just right.Very pleased with the cover store. Great product, prompt delivery. 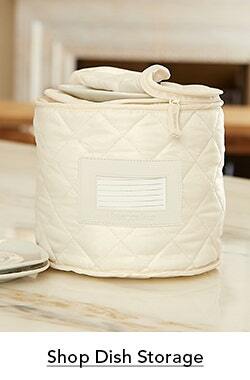 Intend to purchase again additional items and would absolutely recommend this company and product!!! !